If $GDX falls more, the next strong tech support I see is a high volume node at about $24 – about 7% lower, which I guess would be 21% lower for $NUGT. Gold futures might find trendline support about 1.3% lower, if they break fib symmetry at about $1308. 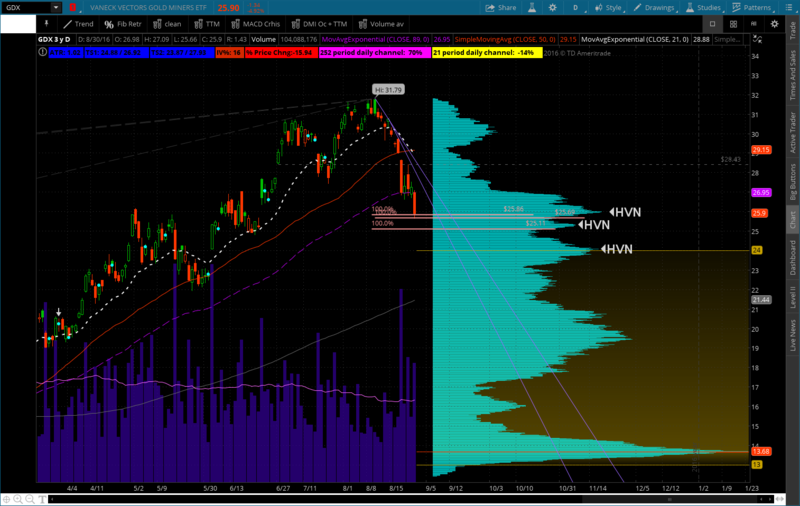 I’ll look to sell NUGT calls if GDX can claw its way back up to $26.30 26.60. Thanks to all who share your ideas on this!